Bond Holder’s Consent is now required for Building Line Relaxation applications – from October 2016. There are some more requirements from your Architect too. A Building Line is an invisible line on your property demarking the point up to which you can build – garden / boundary walls are not included. Typically Building Lines are 5-6m at the front, 1.5-3m at the sides and 1.5- 3m at the back. However Building Lines vary from street to street and it’s best not to make assumptions. A building line prevents building too close to neighbouring properties or the road. Building Lines can be relaxed – you will need your neighbours consent and the Municipal Town Planning Department approval. As Town Planning departments are notoriously understaffed it is best to use the services of a town planner or architect with contacts. The first step is to appoint a SACAP (South African Council for the Architectural Profession) registered Architect / Designer. A list of SACAP registered Professionals can be found at www.sacapsa.com. In order to practice as an Architect or Designer it is compulsory to register with SACAP. De-registered Architects are not legally allowed to practice architecture independently. The Architect will obtain previous plans from Council and a copy of your SG (Surveyor General) diagram and Zoning Certificate. The SG diagram clearly demarks your properties boundaries / area and neighbouring stands. The Zoning Certificate will tell you what the zone use of your property is – agricultural, business, commercial, residential 1, 2 or 3 and Special Use. Residential 2 or 3 usually indicates your property is in a cluster / townhouse development. The Zoning Certificate will also tell you the square meterage of your property, how many storeys you are allowed, the coverage (building footprint) and the FAR – Floor Area Ratio – maximum allowable living space. Coverage is the building footprint on the stand – in other words what percentage of the stand is covered by a roof? Paving, driveways, swimming pools and boundary / garden walls do not count towards coverage in SA. Coverage is typically 50% for a single or double storey dwelling / building and 40% for a three storey building. FAR – Floor Area Ratio is the percentage living space allowable on the stand – so bedrooms, lounges, kitchens, servant’s quarters etc will count, but garages, covered patios, lapas, sheds, swimming pools and store-rooms etc. do not. F.A.R.s vary between 0.3 – 1.2. A low F.A.R. – 0.6 for example – will effectively ensure that the first floor is smaller than the ground floor in a double storey building. You will also need to obtain a copy of your title deeds if you don’t already have a copy. This not only to confirm that you are the owners of the property; but also because title deeds usually have restrictive clauses within them; this could affect the outcome of your building plan application. Typically title deeds indicate that there is a 2m servitude on two boundaries other than a street boundary or pan-handle. Further restrictions such as prohibiting metal roofs or wooden buildings or building lines are common. Title Deeds can be obtained from your transferring Attorney, the bank (if your property is mortgaged) or the Deeds Office. Restrictive Clauses within Title Deeds can be removed – this involves an application through the Town Planning Department. Consent can also be granted for extra coverage / FAR. However this is a lengthy process and I strongly recommend that you use a Town Planner. If your property is within an estate or town house / cluster complex you will also need to get a copy of the Estate Guidelines from the Aesthetics Committee / Body Corporate / Residents Associate etc. You will find a list of requirements that ensure aesthetic harmony and good building practice within the estate / complex. In addition you will need your plans stamped and a letter from the Body Corporate for Council indicating that they are happy with your planned building. Bond Holders consent is also required for Building Line Relaxation. This is quite a time-consuming process and a valuer may need to come to the house and assess the proposed or as built alterations/additions. 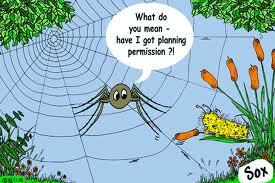 It is vitally important that your architect / designer do their homework before drawing up plans. This will save a lot of time and expense later on. 1) A Colour and two black and white copies of the building plan, including sectional elevations showing the heights and relationship between the proposed additions and the neighbours house/houses. Your plans will also need to show the building footprints of the surrounding houses on the Site Plan, for a minimum of 10 metres on all sides. 4) Approval Stamps from the Roads and Water departments. 5) Permission letter and stamp from Body Corporate / Aesthetics Committee etc. if applicable. 6) Letter from Town Planning for Consent, Rezoning etc. if applicable. 8) Power of Attorney authorising your Architect / Courier to act on your behalf in respect of gaining building plan approval. 11.) Neighbours signatures on the Site Plan, copies of letters/emails sent to the neighbours and an affadavit stating that a copy of the plans and a letter was sent to the neighbours alerting them about the proposed additions. As many Town Planning departments are severely understaffed it is best to appoint a town planner to speed the process up, currently Johannesburg is taking 3-6 months to approve a building line relaxation application – it used to take 3 weeks!. 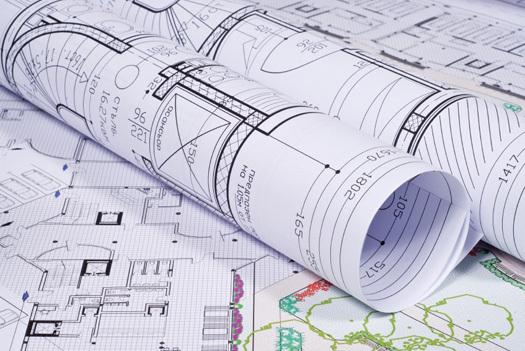 Once your building line application has been approved, you will receive a letter from Town Planning which will need to be submitted with your plans for Building Plan Approval. Permission for the relaxation lasts for a year – if you have not started building within this time you will need to reapply. A Building Line is only relaxed over the portion the new building will occupy and it only applies to that building. If you demolish the building or build a further storey you will also need to apply for permission.